Many of the benefits of keeping a notebook are obvious, especially to the journallers among us. 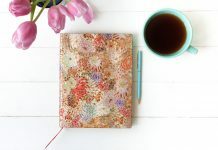 Having the ability to write down your creative inspirations and observations at any moment is clearly a wonderful thing, but what makes a pocket notebook just so special? You may be surprised. 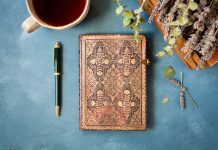 Pocket notebooks are part of a rich history of list-making, a lineage that may not seem so grand but is actually populated by some of the brightest minds of human society. From campers to inventors, police officers to doctors, presidents to graphic designers, the pocket notebook has been home to some deep thoughts and important revelations. And while their use may not be as widespread as it once was, notebooks are making a comeback in trendy and fashionable circles. Your notebook will not only help organise your thoughts but is an everyday accessory to reflect your personality. We all know it’s handy to have some paper nearby for when creative inspiration strikes, but what about the other important “can’t miss” opportunities? Salespeople have been using pocket notebooks for years to jot down potential leads, and a pocket notebook is a must-have for an architect needing to draft ideas on the go. Having a notebook easily reachable also lets you write down an inspirational quote or sketch a funny sign and, because you’ve always got your trusty notebook with you, makes it easy to refer to these anecdotes in conversation later. Paperblanks® memory pouches keep your business cards right at hand, too! 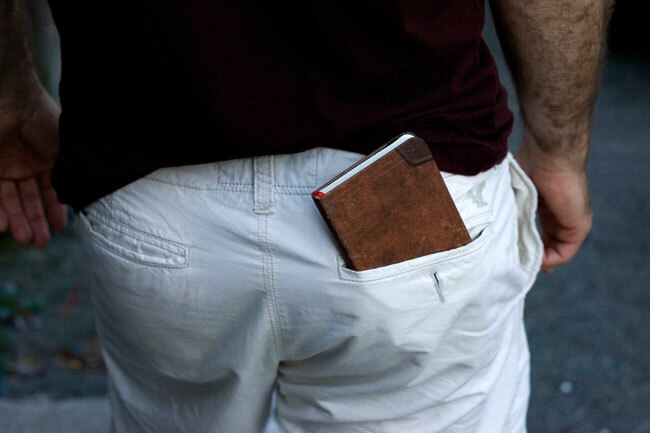 A pocket notebook is a sturdy little companion that has a far longer lifespan than a scrap of paper. 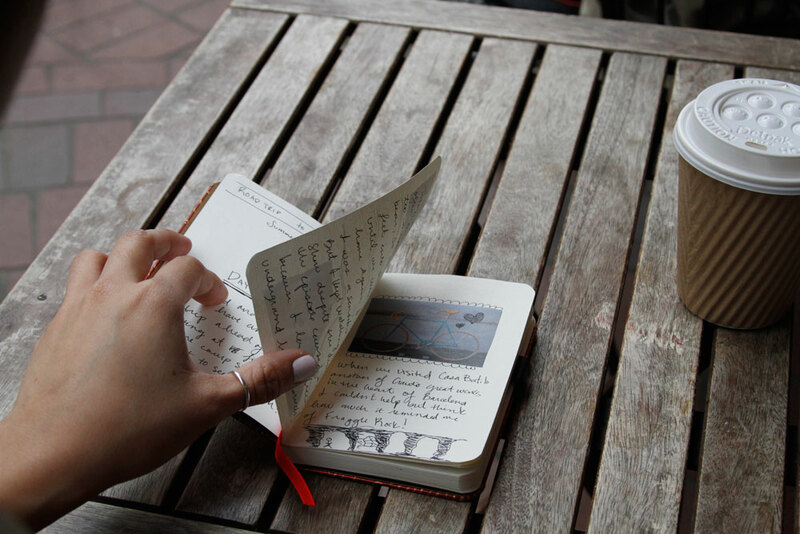 Jot down short notes to avoid ordering a terrible meal twice or to remember shortcuts to your favourite destinations. Having this information written down is especially handy when you find yourself without power or internet connection. One habit I’ve gotten into is dedicating one page to bus stop numbers of all the places I’ve visited on my local transit system. If your city has individual numbers for each stop, writing them down along with the intersection and direction of the route helps avoid any guesswork about the next arrival or departure. 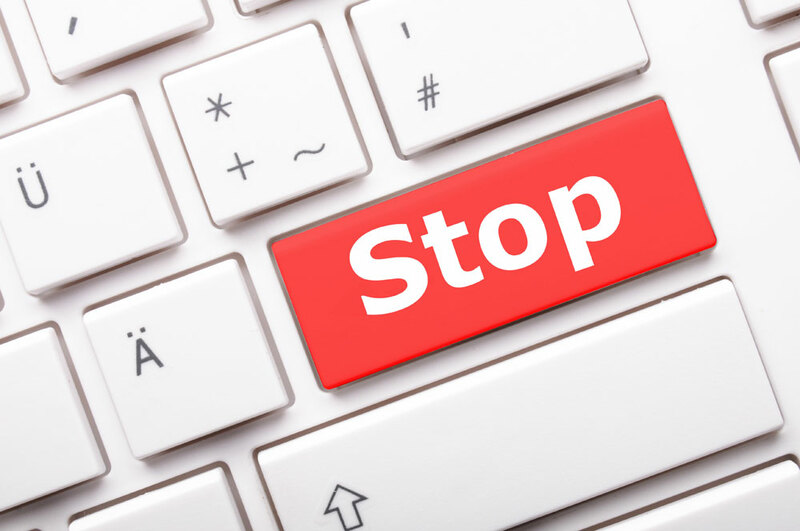 By checking this list, I can text our public transit system to receive the next bus time or can go online and quickly look up the schedule for the stop I want. Notebook covers (like Paperblanks® Mini Reporters) handily flip from front to back, so you’re never searching for a hard surface to jot notes onto a scrap piece of paper. Of course, your notes on the go are not necessarily going to be the most legible, so it’s always a good idea to write a good draft when you have the time. 5) Figure Things Out – and Remember Them! Have you ever written a little reminder or to-do list and then completely forgotten where you put it? You’re not alone – I know some intelligent, not-usually-absentminded people who have abandoned to-do lists all over their homes, bags and cars. Having a pocket notebook to jot down these important thoughts means that you’ve always got that list to refer to when you need it. There’s no reliance on keeping track of a hundred scraps of paper when all your thoughts are organised in one bound, easy-to-access book. Having a notebook that you especially love will mean that you pay a little bit more attention to remembering where you left it, too. 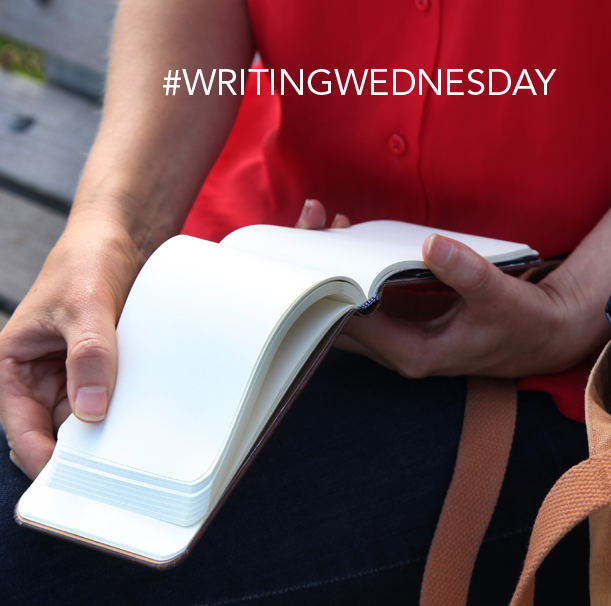 Do you have a handy, pocket-sized notebook that has positively influenced your daily life? What sort of notes do you keep in it? Maybe You can make more unlined journals the Humming bird as example is one of my favourite and unlined is the journal I think amazing. Thanks for the suggestion! We’ve been hearing lots of feedback about the desire for more unlined options, and it’s definitely something we’re taking into consideration for our new seasons. I find the mini reporter notebook is the ideal notebook because (1) it opens easily, (2) has a great solid cover to support writing, (3) never looks worn on the edges, and (4) is simply elegant. Carrying the mini reporter notebook (in the past I’ve tried many others about the same size) has allowed me to recover names, addresses, birthrates, etc. ; and, less materially practical, has added to my sense of presence: that is, I have become aware when something has caught my attention, especially momentarily. Just knowing that I can easily jot down a note about it contributes to my sense of presence. of awareness. The end result is that my life is rich in experiences, regardless if whether or not I’m doing routine work or attending a spectacular event, There are no longer any “dull” days! ADDITIONAL COMMENT: Except for 2014 I have purchased the “Day-at-aTime Format” Dayplanner (dimensions about 5.5″ x 3.75″) each year. I love the size, especially because I like to record my Haiku attempts , one for each page. I would love to have this size without the calendar markings. The mini notebook version simple doesn’t have enough pages. Thank you for such a thoughtful reply! 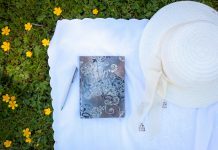 These are great examples of how a mini reporter or pocket notebook can help you in your day-to-day life. We’d love to hear some of your haiku attempts! If you’d ever like to be profiled on the Peek Inside series, please send us an email at facebook@hartleyandmarks.com! Curious as to what model is in the man’s back pocket in the picture under number 2. I like the style of it and would love to purchase it! That is one of our Pocket Companions Flexi journals. Unfortunately, we have since discontinued this series, though you may still be able to find this book in some stores or online. If you like this style, our Old Leather Handtooled or Black Moroccan covers are quite similar, and also come in the “Flexi” format. If we can help you any further, please feel free to contact us at pbdesk@hartleyandmarks.com. Thanks for sharing great notepads series. An essential product for artist like me. Would surely love to try them.